Here's Mario from Super Mario Run. Feel free to use. 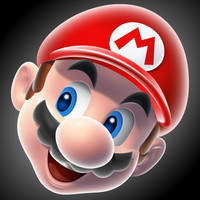 I didn't know Mario gets in a smartphone and a tablet, but nice. This game should be released on IPad.